It's Time to Save the World, LA. Here's Where to Volunteer Around the City. Congratulations: You made it to the heart of the holiday season. Rather than braving hours of traffic to shop every weekend (yeah, we are already over that too. ), spend your free time volunteering this December. 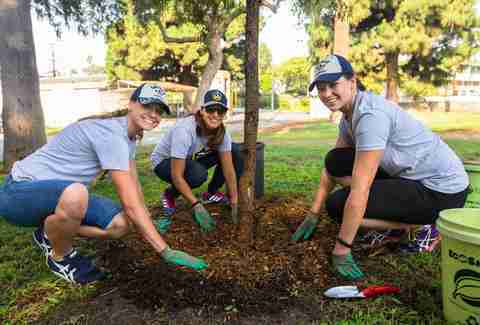 There are tons of great ways to get out and help other people around Los Angeles. You know that sickening feeling you get when you see Whole Foods throw away bushels full of fresh food? Us too. The brilliant minds behind Food Forward have developed a nonprofit that rescues fresh produce that would otherwise go to waste. 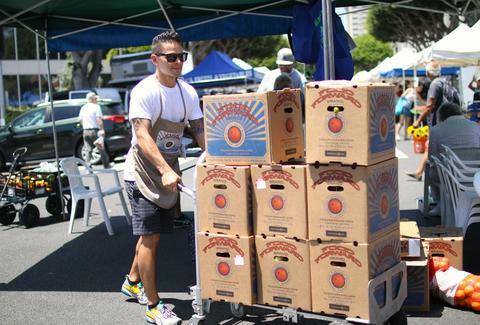 Think farmers markets, public orchards, and the Los Angeles Wholesale Produce Market. They then deliver the perfectly fine food (roughly 300,000lbs a week) to more than 300 hunger relief organizations across Southern California. Getting involved couldn’t be easier. Just register online and show up at the designated spot. You’ll either be collecting donations from fruit and vegetable vendors or picking fruit off a tree at backyard harvests. Food Forward encourages groups, so bring along a friend or five. The People Concern, the new name for the unified efforts of Lamp and OPCC, continues to be one of LA’s most valuable resources in helping the homeless, including victims of domestic abuse, veterans, people with mental illness and LGBTQ youth. 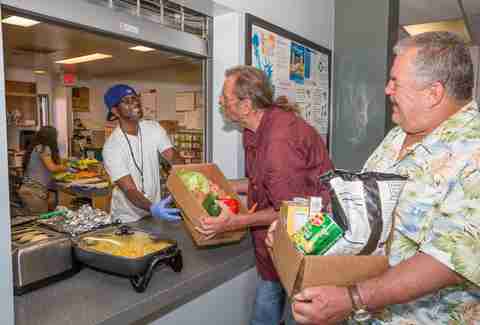 The People Concern has a wealth of ongoing volunteer opportunities for both Eastsiders and Westsiders. You can do anything from hosting a game night to a pizza party or organize donated clothing. You could also commit to the ongoing Fine Arts and Music Program, an initiative 10 years running, which helps people find relief through the creativity. Finished works are even available for sale. 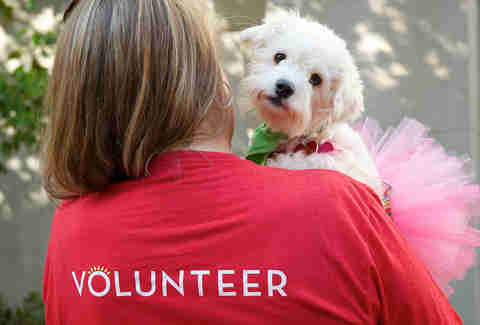 Volunteers must attend an orientation, held monthly in Santa Monica and Skid Row, before beginning. Assisting in the Arts Program requires a three-month commitment. As part of The People Concern family of support, Sojourn offers next-level volunteering to help victims of domestic abuse. To participate you must complete a mandatory 40-hour training program held in the fall or spring. Volunteers help out in crisis intervention, peer counseling, and empowerment playgroups for children. Sojourn relies on volunteers for everything from 24-hour hotlines, transportation, translation, clerical work, donation sorting, and a horticultural therapy program. If you have the time to commit and a goal to help women in need, Sojourn is the place for you. What could be more rewarding than helping a kid write his or her own book? That’s right, nothing. 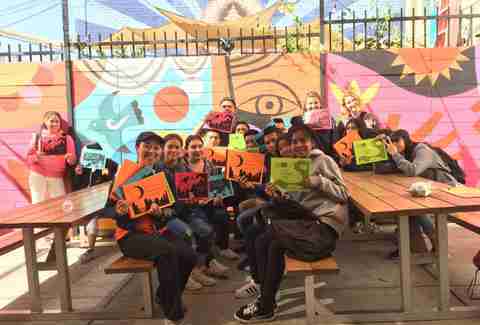 At 826LA, the foundation originally started by Dave Eggers in San Francisco, volunteers sign up to help tutor kids in reading and writing. But the real magic happens during the organization refers to as field trips, when entire classrooms come to the centers to work on their own creative projects. Kids will buckle down on something magical like creating a bound book of their own stories, or writing a polished essay. As a volunteer, you will be given an awesome title like “brainstormer,” to help them come up with ideas; “storyteller,” masterminding the whole enterprise; or a not-as-awesome title like “typist,” which is pretty self-explanatory. 826LA has locations in Echo Park and Mar Vista. You will need to plunk down for a background check before beginning, because, you know, no crazies around the kids. Also stop by the LA brick & mortar locations to visit their Time Travel Marts, which raise funds through selling supplies for fourth-dimension travel, supplies like robot milk, time-machine fuel, and coffee. People not so much your thing? No need to be lonely. Rescue from the Hart allows easy pet fostering for abandoned or abused animals to help reintegrate them into society before they find a permanent situation. Rescue covers all the expenses involved. You just provide the home and the companionship. Browse the website to find your new temporary best friend and apply online. A representative may visit you before approval for a home safety check. And if you happen to fall for your new companion, Rescue can also facilitate a permanent adoption. Does your ideal form of volunteering involve hitting the slopes or catching a wave? Stoked mentoring pairs volunteers up with low-income kids for activities like skateboarding, surfing, snowboarding, or community service. No knowledge of extreme sports necessary, but you must love the outdoors. And kids. It really helps if you like kids. 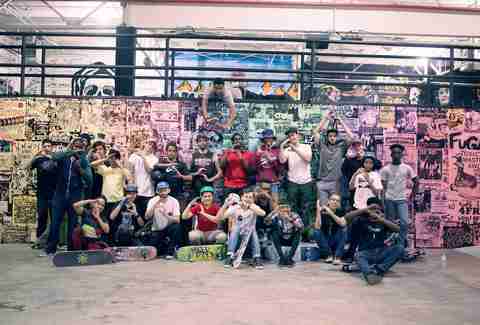 The mission of Stoked is to develop the self-esteem of kids through confidence building exercises. Other opportunities include sharing your career knowledge, or coffee sessions, a one-on-one informational interview to help the next generation find their place in the world. Volunteers must complete an online webinar and background check before beginning. Calling all techies. 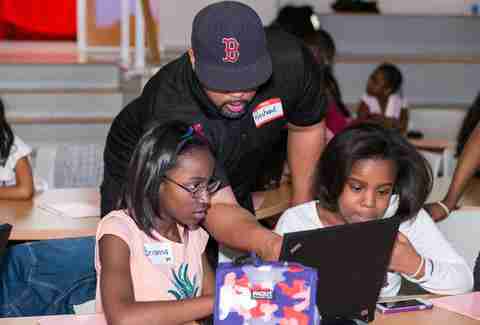 Black Girls Code has a mission to increase the number of women of color working in digital trades by training girls 12-17 with the skills they will need now to advance in their careers later. Whether you’re an expert in coding, IT, social media, photography, or simply organizing, you can help out at Black Girls Code. They also host hackathons for on-the-fly app building and events throughout the city. A recent trip showed girls an interactive tour of Hidden Figures at Fox Studios. Put those Instagram skills to good use and pass your knowledge onto the next generation. Environmentalists can meet their kinfolk at TreePeople events. Gather together to plant trees around the city, learn about native plants and turf reduction, or take a workshop on caring for plant trees. An extremely social organization, they even organize group dog hikes. TreePeople also welcomes groups to tackle urban tree planting or mountain restoration activities. Come out and meet new friends, friends who don’t believe climate change is a hoax from China. Ariston Anderson racks up extra visa pages through writing about travel, entertainment and lifestyle for the likes of The Hollywood Reporter, LA Times, BBC, CNN, and Billboard. Follow her for escapism on Instagram and Twitter.